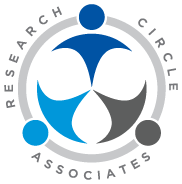 In 2002, Research Circle Associates was formed to make research enterprise more effective and efficient through business process re-engineering and state of the art technology. Our researchers found that computerized screening products with built-in brief interventions could improve patient disclosure of risk behaviors and dramatically enhance the healthcare system’s capacity to deliver prevention/intervention to a broad spectrum of patients. Research Circle Associates (RCA) is committed to providing the health care community with more effective and efficient technology solutions that support prevention and positive lifestyle choices. We provide patient data gathering and assessment tools. RCA also provides expertise in using computer-assisted interview design to improve the validity and reliability of sensitive data collected in surveys.